Have you ever considered selling your scrap gold for cash? Now that there is wide unemployment and very little improvement in our economy, most people are looking for ways in which they can get cash – and one of those ways are by selling scrap gold. The amount of these unwanted and broken gold items usually exceeded the expectations of past owners and they are usually surprised with how much their old gold can be worth. Scrap gold can come in a variety of forms and sometimes you may find them in unexpected places or objects such as your computer or cell phone. Although not all gold refiners accept all types of precious metal scrap, it would do you a lot of good to learn what scrap gold is and where you may get them in your belongings. They are good sources of financial aid when you need them. Any product that contains gold can be a source of gold scrap. This includes gold in your jewelries, coins, bars, flatware, and appliances at home. The best types are those old and broken jewelries which cannot be restored to their former looks without incurring a lot of expenses in the process. They contain a lot of recoverable gold that will fetch a good price in the market. When it would not do you any good to send the item for repair, it will do best to sell them as scrap gold. They will be valued for their gold content with a small reduction for a particular fee that the refiner may charge upon you. When you sell gold as scrap, you will not be getting the face value of your gold – the original price for the item or its aesthetic or historic value. What the refiner will pay you would be for the weight and the karat of the gold. So what would matter is how pure your gold item is. It varies from 24 karat to 10 or 8 karats at least which will determine the actual amount of gold that is present in the mixture. To get an idea of where you can get scrap gold here are some examples: broken jewelries, bracelets, rings, chains, old dented gold coins, pins, gold wires, gold dust, computer parts, connectors, and circuits. Another popular source of gold items are in many different forms of dental gold scrap such as gold fillings, dental crowns and bridges, These are all considered to be scrap gold and you can bring them to a refiner to know if they buy such items. By selling scrap gold, you are getting an investment which can be greater than what you have paid for the item originally. As gold tends to increase in value as the economy slows down, you can expect it to be worth more than when you bought the item. 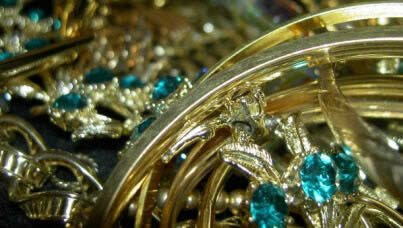 Selling scrap gold will definitely provide you with profits without the hassle. However, you should sell them to a good buyer that will give you more percentage for the value of the scrap. You should at least know how much the current market rate is for gold and then compare that with what your item could cost. You should at least know the weight and karat of your gold to do this.